A very lucky person who has had the good fortune to be able to live a life where the lines between work and play are wonderfully blurred and which is populated by artists and many many other extraordinary people. If I could only draw! I might have tried my hand at architecture – it is such an inspiring combination of history, culture and arts. The impact of good design on the way in which we live and relate to each other and how we feel about ourselves should not be underestimated. To reduce this question to a name or list of names feels too limiting – suffice to say inspiration for me will usually be found in people who have exceptional leadership qualities that inspire us all to do better, to be better and to fulfill our potential. Observe what’s around me, listen to those around me and to try to understand where and how I can help in any way – sometimes it’s the small ways in which we act that can make a big difference. That’s easy: Burgundy in France and more specifically the area around the historic town of Cluny. I first went there when I rented a house with some friends in a tiny hamlet and we all agreed, it is such pretty countryside it’s almost silly! Picture perfect scenery, amazing Burgundian wine, the magic of French produce markets in every village and the rich cultural history are hard to go past. TarraWarra Museum of Art. Designed by Alan Powell in perfect harmony with a magnificent Yarra Valley setting, this museum is a gift of extraordinary generosity to the people of Victoria by Marc and Eva Besen. It houses their collection of modern and contemporary art and the exhibition program under the directorship of Victoria Lynn reflects not only the depth of that collection but also responds imaginatively to its strengths within the current Australian context. So, combining all that with the excellence of Yarra Valley fine food and wine and one has the perfect outing for visitors. I have to declare an interest here however as I am a proud member of the Board. I have just re-read David Nyuol Vincent’s The Boy Who Wouldn’t Die, the story of his flight with his father from the Civil War in South Sudan. David’s story inspired Kate and David Denborough to create Kage’s new work Team of Life, which will premiere at this year’s Melbourne Festival. Together they have woven a story about identity, belonging and acceptance imaginatively bound together by a choreographic language inspired by the two football codes of Aussie Rules and soccer as played by a cast of Indigenous and refugee performers. Everything we are presenting in this year’s Festival but I am particularly enjoying the infectious sounds of the new Irish American supergroup, The Gloaming when I feel like an injection of exuberance with a large serve of Irish infused sentiment. Buck 65 and Josh T Pearson whom we both presenting in the Foxtel Festival Hub are also proving to be favourites. Indefinable but you know when you’re feeling it. Short term, the future will be all about hosting the 2014 Melbourne Festival and finalising the 2015 program, which will be the third of my three editions. After that, the world as they say is our oyster and I’ll see where opportunity takes me. I do have an enticing pile of books beckoning to be read. Josephine Ridge is one of Australia’s most experienced and internationally respected arts identities, who is currently Creative Director of the Melbourne Festival, appointed in April 2012. Prior to this appointment, Josephine was Executive Director and co-CEO of the Sydney Festival, working with four Artistic Directors – Brett Sheehy, Fergus Linehan, Lindy Hume and Lieven Bertels. 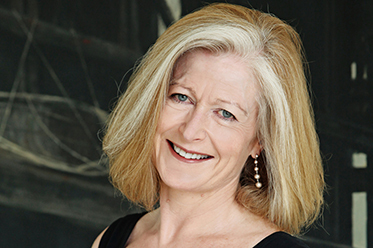 In addition, Josephine has had extensive experience across the arts, as Deputy General Manager of Australian Ballet (1997 to 2003), Deputy General Manager of Australian Chamber Orchestra (1993 to 1997), Marketing Manager of Playbox Theatre Company (1991 to 1993), and National Media Representative of Australian Opera (1986 to 1991). She has also held positions in the visual arts arena, including as a member of the Board of the Australian Centre for Contemporary Art (ACCA) and as a Board Member of the Tarrawarra Museum of Art in Victoria’s Yarra Valley. The 2014 Melbourne Festival open this Friday 10 October and runs to Sunday 26 October. For more information, visit: www.melbournefestival.com.au for details.